Each new phase of life brings about its own challenges. But one thing is consistent throughout our entire lives – we need community. Isolation is a threat to every age, but its rampant among senior citizens. It may be harder to get around, or friends and loved ones have passed away, or there’s simply no motivation to get out and find community. Whatever the reasons, seniors are suffering from isolation. Finding community will make all the difference. These are just a few of the basic benefits. I am confident you’ll find even more surprising benefits by staying connected to the rest of the world. As we grow older, it’s very hard to even consider the idea of leaving our homes and moving into an assisted living setting. 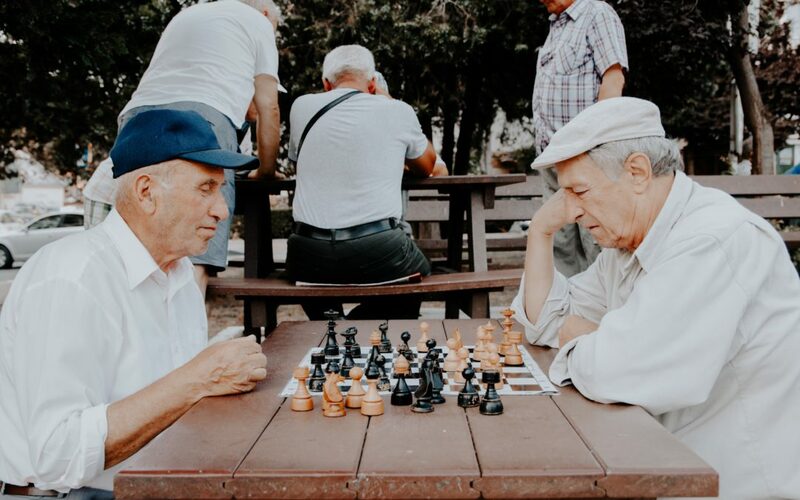 But seeing just how important connecting with others is for everyone, especially seniors, choosing to live in a community may give you the opportunity to live a longer and fuller life. Let me lay out for you my argument, if you will, in support of community living. There’s two parts to this argument. First, seniors will often need to depend heavily on their adult children. This can cause a strain in the relationship. Community living will relieve that tension and allow the parent and child to reconnect in the way they’re supposed to. Meanwhile, in a community setting, you’ll be making new friends that can enrich your life. Community living allows you to eat well. Let’s face it: it’s no fun to cook for one. And for some seniors, it’s simply too difficult to cook at all, let alone gather the groceries. Moving into a senior living community will provide you with meals. Through this better diet, you may notice an improvement in your health. Community living cuts out the stress of driving. As we get older, driving proves more and more difficult. For some, it may be too dangerous to be on the road. Community living will provide transportation to where you need to go, while having much of what you need right there in the facility. Community living helps you feel safe. Living alone can be dangerous for a number of reasons. In a senior living community, you’ll be able to rest knowing that you’re safe inside. You’ll also have the comfort of knowing that, should you need medical attention, it is readily available at any time. Community living beats the boredom. Boredom isn’t just an annoying feeling, it contributes to isolation and depression. In a community, you’ll not only find people to connect with, you’ll find all sorts of activities to engage in. The bottom line is, seniors who choose to live in a community are healthier and happier. Whether or not this is the solution for you, it is certainly something to look into. Contact us. We would love to help you find the community where you can thrive! What if They Don’t Listen? Tips for When Aging Parents Don’t Take Advice.